Complete with an embroidered logo. Although Balenciaga hit the runways of Paris to showcase its upcoming Spring/Summer 2019 collection late last week, seasonal wares from the house’s FW18 lineup continue to hit shop shelves for retail release. Already having taken a look at a barrage of bags, sneakers and jackets, a new carryall option is one of the latest products to be featured. 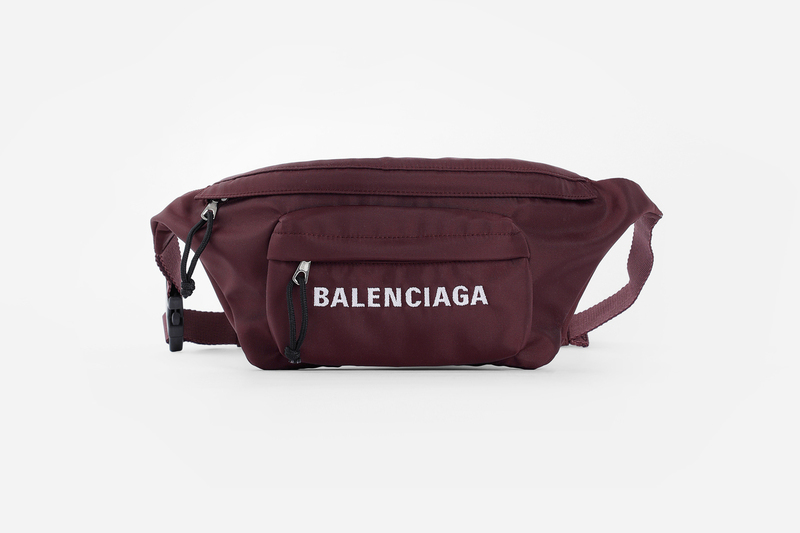 Fashioned in Italy from 100 percent nylon, the burgundy-hued cross-body bag features a main zip compartment on top, a hook-adorned adjustable belt and a smaller zip pocket on the front, complete with a white embroidered logo. Set to a price of $702 USD, you can look for this new Balenciaga bag at Antonioli. In case you missed it, Givenchy dropped a blue cross-body bag from its Fall/Winter 2018 collection. Showcasing OG collaborations to newer capsules. Most expensive whiskey ever sold.